OPEN HOUSE SATURDAY 3/16 AND SUNDAY 3/17 11:00AM TO 3:00PM. Beautiful multi-level home in the Cherry Creek School District, one of the top ranked school districts in the state. This home sits on a massive, 8,146 square foot corner lot. The home consists of a brand NEW roof, 5 bedrooms and 3 bathrooms, the main floor kitchen also features ceramic countertops. The garage is fully finished with an huge attic for extra storage. The huge backyard with a deck and brick patio, will be a perfect place for outdoor relaxation and those summer BBQs. 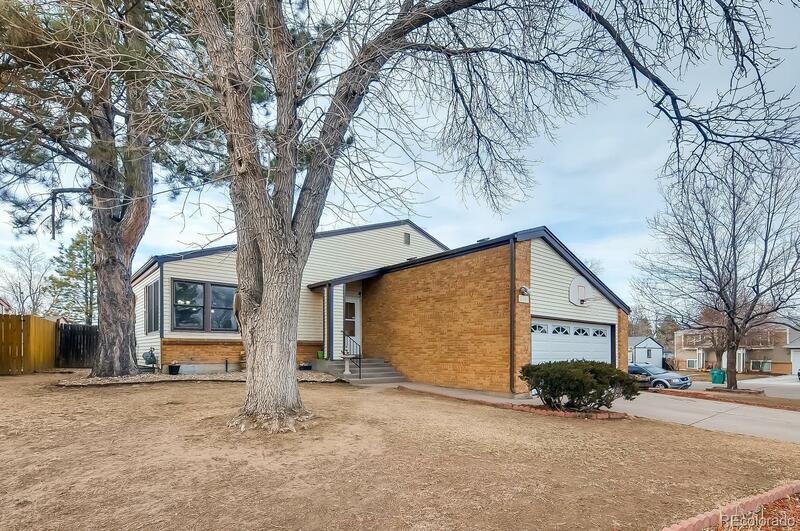 This house is also well located, with Smoky Hill High School and a variety of stores being within 5 minutes of driving distance. 2 recreational parks and the Cherry Creek Reservoir are also nearby. This home, also has great income potential, a full kitchen, bedroom and bathroom in the basement with a private entrance. While you live upstairs, the downstairs can potentially pay your mortgage! Donât miss out on the chance to own this unique home.